Task: to design a pattern for payment cards in the spirit of Escher. Founded in 1993, Binbank offers a wide range of financial services and savings schemes to its clients. 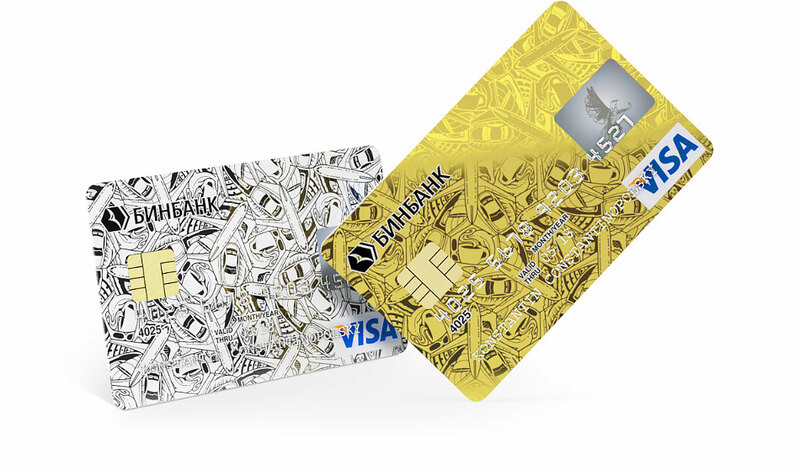 For its payment cards, an inspiring pattern was designed at the studio. 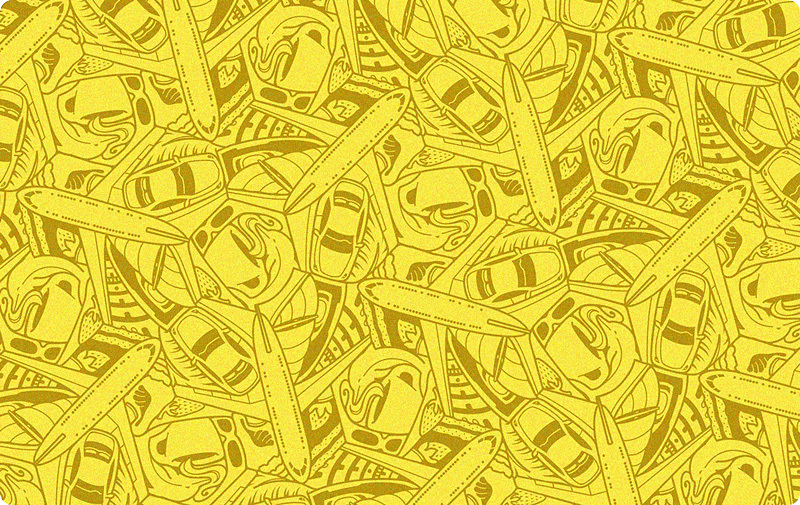 The pattern combines elements representing different hobbies and leisure pursuits: an airplane, car, yacht, sunglasses, coffee cup, lighthouse, dolphin, shell and a piece of cake with a strawberry on top. The pattern can be recreated in different color schemes while still remaining recognizable.